Southeast Asia (SEA) is the home of tropical beaches, green verdant jungles, fascinating cultures and amazing food. The affordable prices attract hundreds of backpackers who embrace these lands, and because of its beauty and history all kind of tourists are flocking to the shores of Southeast Asia. Whether you’re on a trip for 2 weeks or 10 months, SEA is arguably one of the best places to visit. However in all countries across SEA, laws and regulations vary, so if you want to enjoy your trip and be safe you might want to know a general overview of how things run in this part of the world. These are of course just broad general tips and advice, always use your common sense too and be respectful of others, especially the locals. We have a more in-depth country by country guide coming up next too. Overstaying your visas could potentially lead to fines and being banned from returning to that country. The longer you overstay the worse is the punishment. Southeast Asia is amazing; and you truly don’t want to ruin your trip! 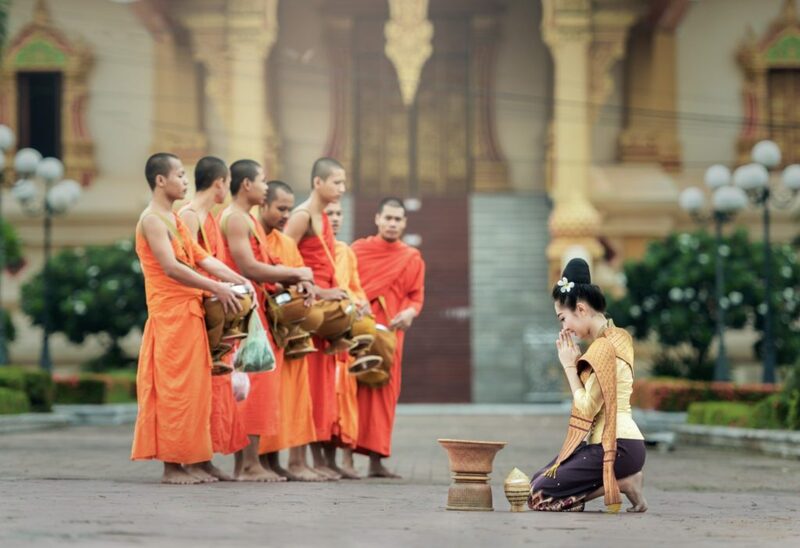 Dressing appropriately is expected when visiting all religious and cultural sites in Southeast Asia so make sure you are not bearing too much flesh, specially shoulders and knees. Even though the weather is super hot, wearing appropriate clothing is very important in the vicinity of cities, cultural sites, religion monuments and even some natural attractions. In Thailand for example, it is not allowed to drive WITHOUT wearing a shirt! Disrespecting countries monarchies, flags, monuments and even money is a big NO NO, like it would be in any country. However the punishments here are severe, that can lead to arrests, imprisonment or even death. Even taking photos of military sites or being too close to a border crossing is prohibited in most countries. Due to the rise and rise of tourism there is more competition for businesses and unfortunately some of them are taking quick short cuts that can trick you out of your money. Be extra careful when visiting tourist sights that are popular such as Angkor Wat, Bagan Temples, the Grand Palace and Tea Ceremonies. Also if you are asking for a tuk-tuk ride or a taxi make sure you negotiate a fair price and itinerary, and/or put on the price meter. Don’t be too easily swayed by strangers and follow your instinct. Unfortunately travellers get scammed in Asia and you need to be aware of that. Malaria and Dengue Fever do exist in Southeast Asia, in some places more apparent than others. Always use mosquito spray especially in rural and jungle area and always consult your travel clinic first. You can arrange appointments and consultations prior to your travels. This one goes without saying, it’s pretty well known. Southeast Asia has a strict policy against drugs; wether is the production, supply or use. So the best thing to do is to steer clear of any contact with illegal drugs, as the wrong use can result in arrest, imprisonment or even the death penalty. Stay tuned for the next update in this series – A travel safety guide by each specific country across SEA.